Earn points for staying off the phone that can be redeemed for deals from local businesses and online retailers. 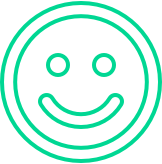 Want to join our list of partners? Grow your business and make a positive impact on students. 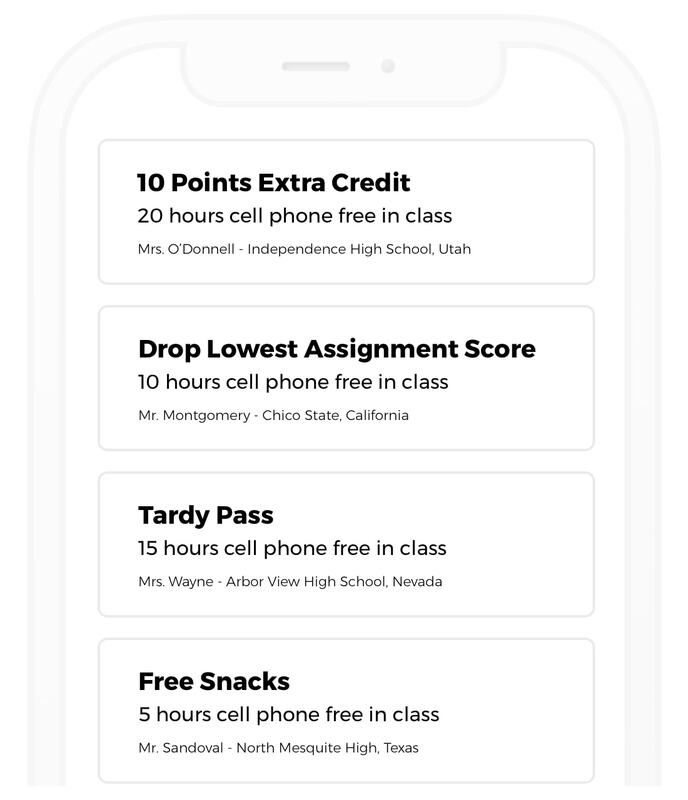 Earn rewards created by your teachers based on the time off your phone in their class. Are you a teacher?  Solve your #1 issue in the classroom by offering rewards for your students. We remember being very alarmed in college by just how many students were not paying attention in class. We set out to create a product that we’d want to use everyday. That inspired us to be advocates for students from day one. Ever since launching in 2014, that has been our focus. 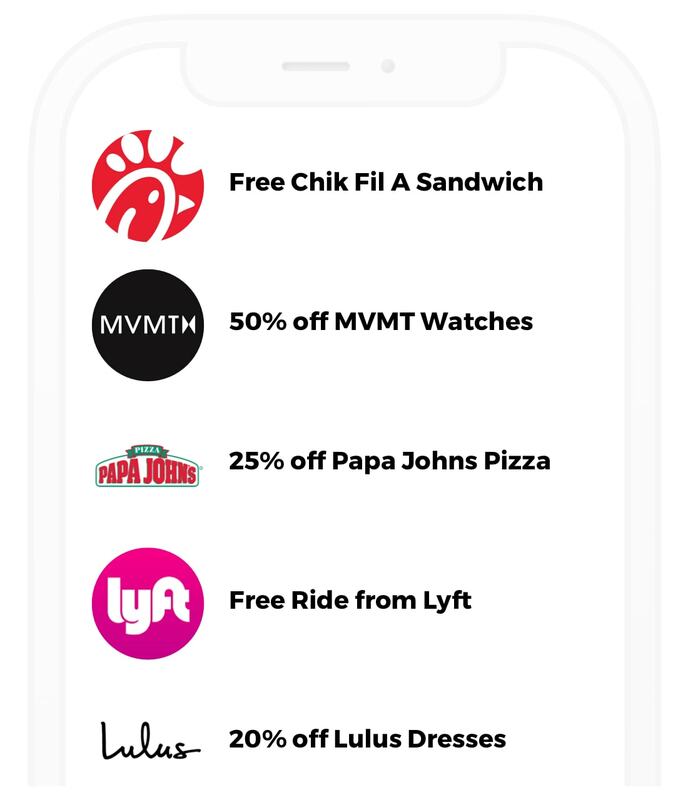 Download the app and start earning rewards today!